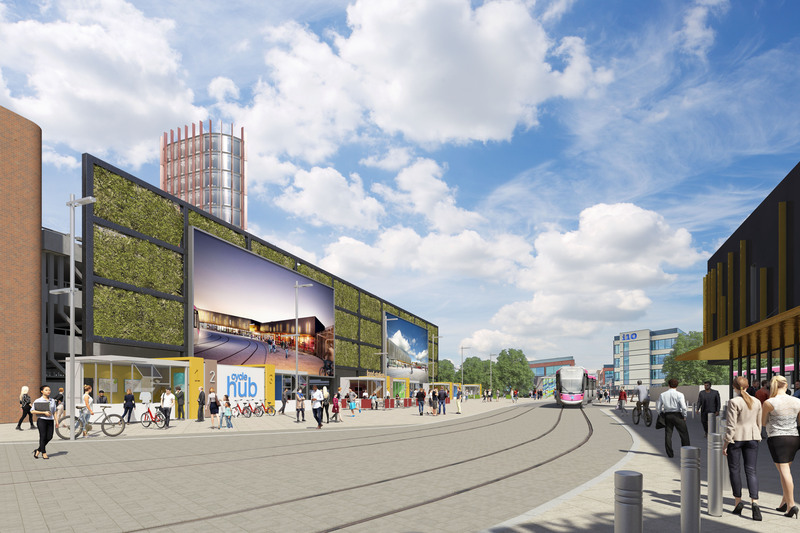 The City of Wolverhampton Council in partnership with Ion Developments, unveiled the ambitious plans for the Wolverhampton Interchange Commercial District during the global property event, MIPIM, Cannes. The new commercial district will deliver 1 million square feet of grade A office space over strategic sites at the heart of an integrated regional road, rail and tram hub. It follows on from the success of the award winning i10 office development – home to major brands Countryside, Ovivo and Tarmac. Works are also due to start on site later this year on the £12.3 million, eye catching i9 building. It will provide 50,000 sq ft of stunning grade A office space for a national or regional headquarters for a major business when completed in 2020. Steve Parry, Managing Director of Ion said; “The commencement of works on the new railway station building is bringing into focus how well connected the new Commercial District at Wolverhampton Interchange will be. We are convinced that it will become a popular location for business.